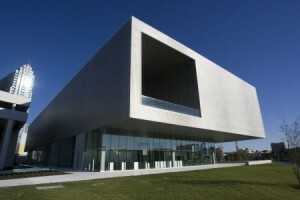 The Tampa Museum of Art, Museum of Fine Arts in St. Petersburg and The Florida Holocaust Museum are all participants in the national Museums on Us® program sponsored by Bank of America, which provides cardholders free access to some of the nation’s finest arts, cultural and educational institutions during the first full weekend of every month. To qualify for Museums on Us, Bank of America customers simply present their ATM, credit or check card and valid photo ID to gain free general admission to any of the participating museums. Please note this offer does not apply to special exhibitions, fundraising events or ticketed shows. Offer valid the first full weekend (Saturday and Sunday) of each month through December 2013. For more information on Museums on Us or Bank of America’s arts and culture programming, please visit www.bankofamerica.com/museums. Click here for a full national list of 150 participating museums.